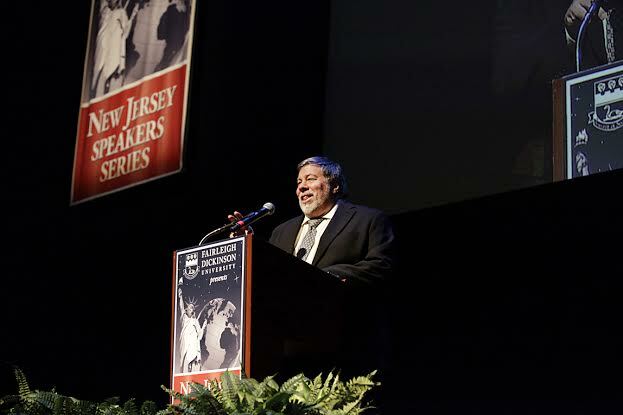 I wanted to thank you for the fascinating talk you gave at the recent New Jersey Speaker Series at NJPAC. I have to be honest with you. I wasn't sure I'd be fascinated because I anticipated hearing a lot of technical engineering jargon that would go right over my head. I confess that anything scientific sounds like a foreign language to me. Perhaps it's because my imagination was never sparked like yours at an early age, or maybe it has to do with the lack of passionate school teachers I happened to have in my formative years. It's clear that as a child prodigy it was always about the engineering for you, applying your wealth of knowledge and creativity toward inventing something useful and clever for yourself and others. I can't remember what I was working on when I was 26, but at that age you designed the hardware, circuit board designs and operating system for Apple I. The year before that you introduced to the world how a character displayed on a home screen could be generated from a home computer. If I said that was amazing I'd be grossly understating those accomplishments. I remember a world before Apple computers and I wouldn't want to go back. The brilliance of the computers you brought to all of us has helped me, and many others in the disability community, by making computers more user-friendly. For that I truly thank you. I was excited about the opportunity for my husband, son and I to briefly chat with you at the "after party" while photographers snapped our photo. You endeared yourself to me when you answered our question, "Where are you going next?" by replying with great excitement, "Home, and I can't wait." I admire how you lovingly speak about your parents. Your mother sounded like such a fun person, giving you your love of humor and pranks, which you had in common with Steve Jobs. It was kind of naughty of you to build your own electronic metronome (tick, tick, tick) and place it in a school locker, rigging it to start faster when the locker opened. But you more than made up for that prank later in life by proving that a successful entrepreneur can be generous. When Steve Jobs and the Board of Apple refused to give early employees stock options, you dug into your own pocket and gave them $10 million dollars of your own options because you felt, "It was the right thing to do." You truly took your parents' lessons to heart. As a Lockheed engineer your father stressed the importance of learning, but also taught you the importance of always being truthful. It was nice to hear that you made him a promise of always growing as an engineer but also to take time to teach others. Giving up your brilliant engineering career for awhile to teach fifth to eighth graders was a generous shift in careers and I, for one, applaud you for it. 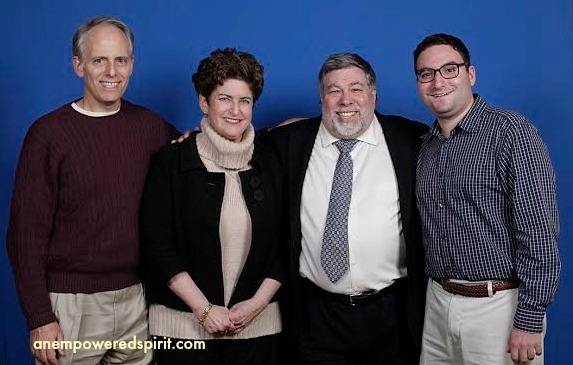 I guess what I'm saying is there's so much more to "The Woz" than I ever knew, and it was fun getting to know you a little better. Seeing your highly energetic presentation in person, I enjoyed the last question from an audience member. "Do you have some kind of oxygen tank attached to you, because you never seem to take a breath during your many stories?" I marvel (and am a bit jealous!) at how much you accomplish in the course of a day, but I guess that's what catapulted you into the unprecedented career you've had. I can't wait to see what you'll be doing next. Oh, and one more thing. 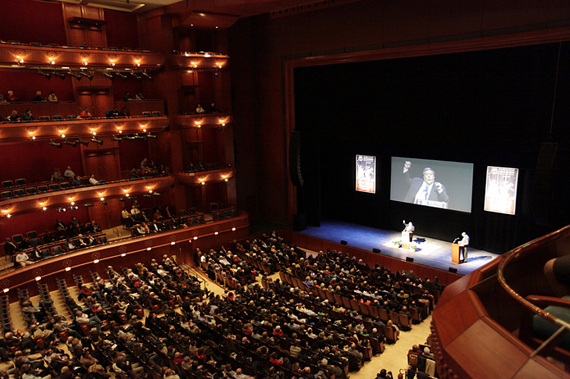 After I heard that you made a stop at Fairleigh Dickinson University before coming to NJPAC, I realized something special. Like our last speaker, Alan Alda, you also dedicate yourself to teaching students about science. 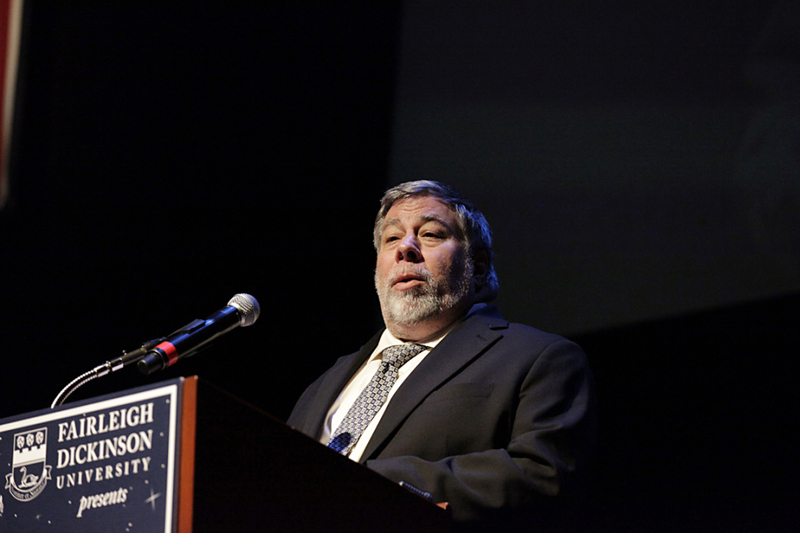 I thank you for encouraging them to aspire to be the next WOZ. Like your father, you are showing them by example to reach for the stars. Cathy Chester has been diagnosed with Multiple Sclerosis since 1987 and uses her writing to advocate and encourage people to use their abilities to live a healthy and vibrant life. Read more of Cathy's work on her blog, An Empowered Spirit. The New Jersey Speaker Series is an inaugural series of talks produced by Fairleigh Dickinson University. The impressive list of speakers are Madeleine Albright, Alan Alda, Steve Wozniak, Olympia Snowe, David Gergen, David McCullough and Dan Rather, each influential voices in our world today.